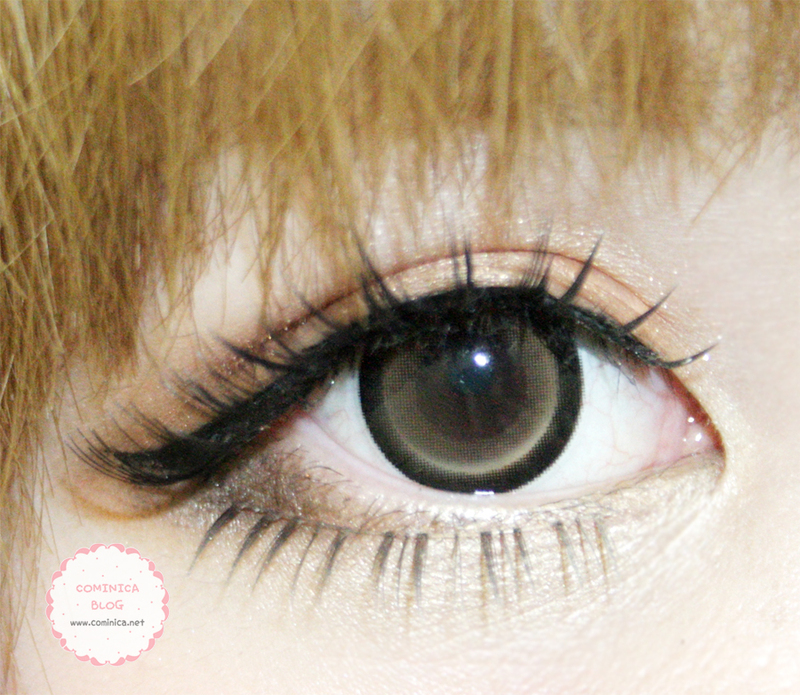 However, I'm keen to try this circle lens because it looks like sugar candy brown lens. Kanno Yui wear this kind of circle lens a lot. I've tried a similar circle lens from EOS last year, but the brown color doesn't satisfy me. The brown color that Yui wear a lot is look a bit Hazel brown. This contact lens has 14.5mm diameter, my favorite diameter for a contact lens. Not too big and not too small, just in between. I got my Vassen sakura candy brown from Pinky Paradise. Kindly visit their website and check their circle lens collection. Besides this Sakura Candy Brown lens, other circle lenses I like are Princess Mimi Series. Some of you may already know about it because I use them a lot on my FOTD. Btw, I got a lot question about recommended circle lens for everyday use. If you want to stick to natural look, better try 14/14.2mm contact lens in chocolate/brown/grey. I can't recommend a design for you because each people has a different taste. But if you want to look younger or ulzzang, you can try black circle lens. Don't buy black circle lens with a diameter of more than 14.5mm. It won't look natural, but if you don't mind then just buy it lol. Some people really love it because the result is super cute and dolly. Oh I always want try this lens but I on´t know if they looks good on my eyes. because I have green eyes and I don´t know but on you looks really lovely. The lens are cute but I'm much more in love with your hair. It looks adorable!! might be unrelated, but... your dimple hair looks cute! They look really really nice on you ^_^ I really love the light hazel colour! !~ <3 They definitely look very natural. is a great lens, and the color is amazing. I love your style, you are beautiful contact lenses and you look gorgeous. I follow you! I leave my blog for you to spend! You can visit my blog for beauty diet information. This is actually perfect for me- thank you for sharing! I love the washed out brown color personally (is that strange) - I've been looking for cute simple contacts as these! I'll definitely buy! Thank you!!!! !